If your children share a room, they shouldn't have to sacrifice privacy for comfort. 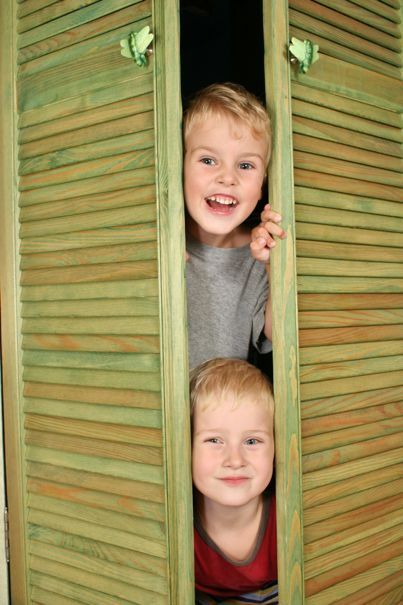 You can design a shared room in an organized and personal way for each child with these tips. If your children share a room, they shouldn't have to sacrifice privacy or comfort. You can design a shared room in an organized and personal way for each kid with these simple tricks. 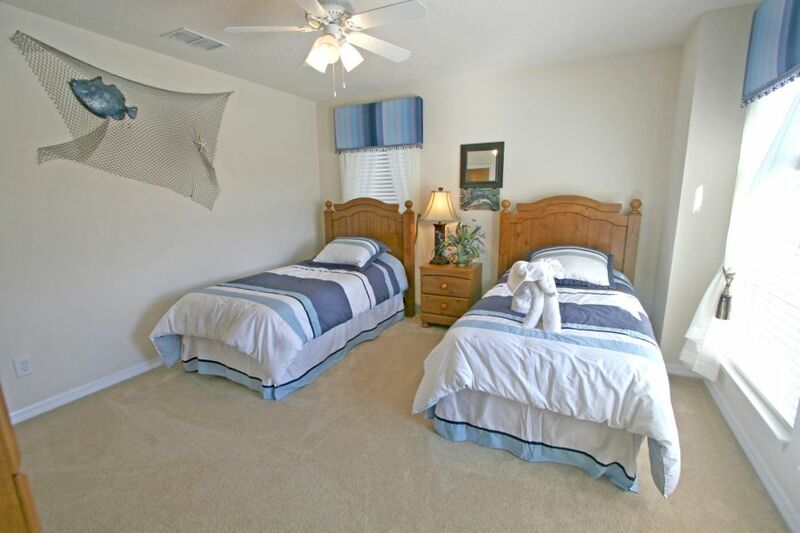 Instead of dividing the room down the middle, set up beds in opposite corners. This leaves the opposing corners free for desks, beanbags, or shelves. In this arrangement, their shared space is the middle of the room and they each have private space at the far corners of the room. This keeps arguments about space and territory at a minimum and fosters the idea of shared space without compromising anything personal. If the room is small, two beds and two desks might feel a bit crowded. 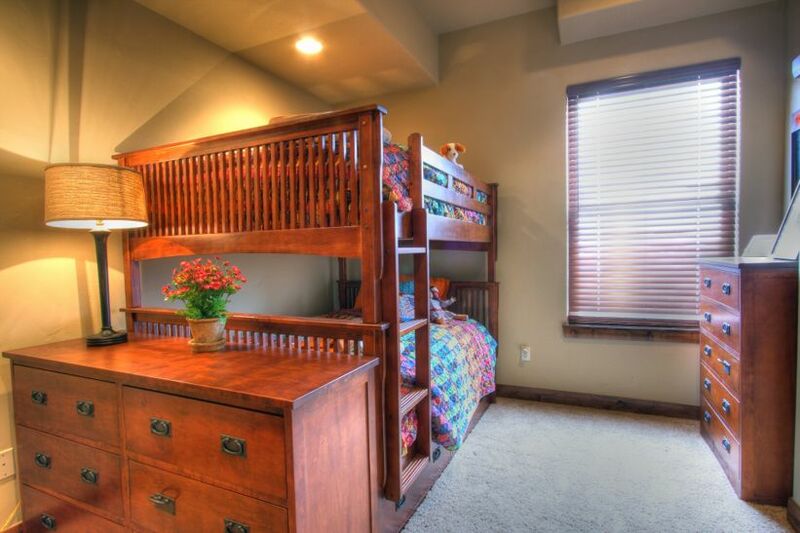 That’s why many parents opt for bunk beds to save floor space. 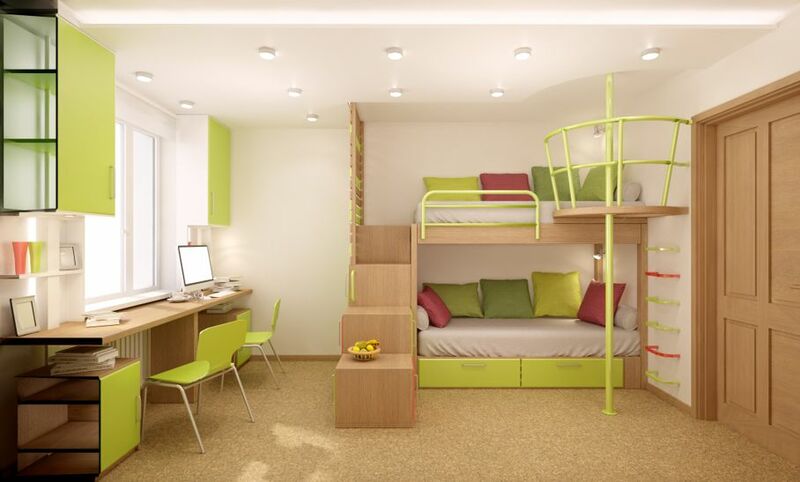 Bunk beds also create interesting opportunities to split the room up. Try a desk on either side to give your kids a visual barrier in addition to the physical one. If you clearly define one side of the room as private space, make the opposite side shared space. As you decorate the room, don’t be too elaborate with colors or décor. Remember, your kids will personalize their individual areas on their own. To maintain a cohesive space, use simple gender-neutral colors. This allows your kids to add their personal touches without clashing colors and vivid designs. If your kids are old enough to help pick a color scheme, let them. Then you won't make a "mistake" in the color choice, and the kids will feel involved in the design process. Feeling ownership over their space will motivate them to keep it clean and organized. To give each child more privacy and storage space, place an open shelf unit in the middle of the room. A cubby-style shelf with storage bins, or a simple open shelf with access on both sides, will work well. Divide who gets which shelves to avoid confusion. 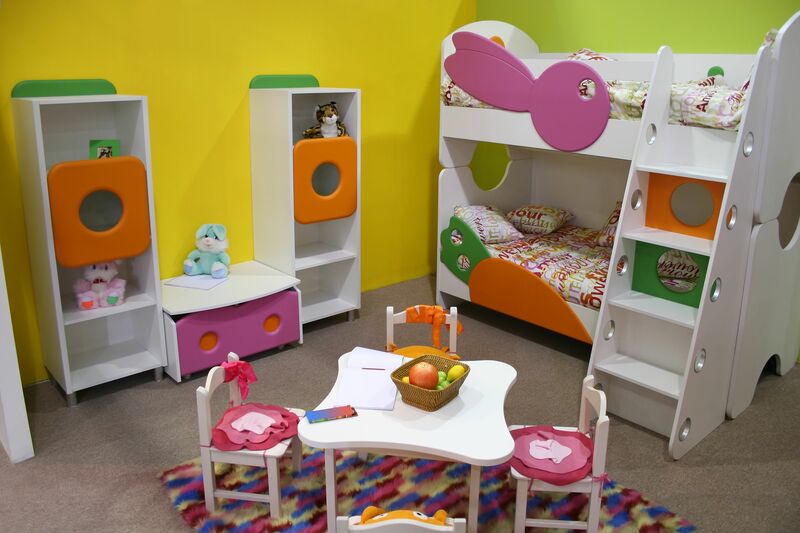 With a shared shelving unit, your children will have more space for other important items and activities. While you’re distributing space, don't forget the closet. You can divide closet space to make it easier for your kids to stay organized with a few simple tools. Hanging shoe organizers and wall-mounted shelves create great storage spaces with efficiency. Define where each child’s belongings go with clear labels. Colored shelves and bins are other options to make the distinction clear and simple. You want your kids to feel comfortable in their shared room, so let them add the finishing touches. Each kid can choose a few accessories they like and work them into the room’s overall design. This independence will give their private spaces a bit more personality. Encourage them to pick some items they both enjoy for their shared space together.